If you are involved in an industry that produces products that are sold in units based upon their length, then somewhere within your production process there will be a device that monitors that length. However, just how accurate and efficient is your current counter solution? Can it accurately measure the line speed, the total length of the processes and overall batch figures? Does your measurement method have the ability to control the process it is monitoring, slow it down or stop it? Does your counter equipment have a colour intuitive touchscreen HMI? 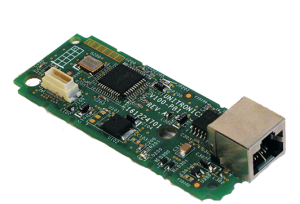 Can it send vital production process data to your mobile phone, PC or tablet? What about creating product label data and sending that to a dedicated printer? 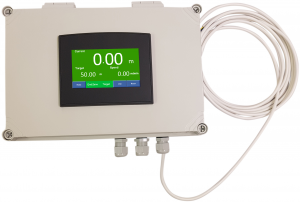 If your current process is in need of updating or you are looking for ways to improve production throughput, reduce wasted time and material and bring your production processes into the 21st century, then the TITAN range of Multi-Function Counters, Batch and Ratemeters might be just what you are looking for. The TITAN range of multi-function counters, available only from Kempston Controls, has been designed to be easy to use and simple to install. Available in 7-inch and 4.3-inch colour touchscreen variants, with optional notification beacon versions and a small-form-factor miniature version. All of the TITAN range come fully configured within a durable IP66 rated housing with an internal 24Vdc power supply, just add a roller and encoder and you are ready to go. The TITAN high-contrast HMI can be set-up to only display the essential onscreen features and information that you need. You can change your settings and targets easily and even use the intuitive interface for process control via the 4 built-in relays, for example: alerting an operator when a process is ending or to activate a conveyor slow-down to stop a process. Designed to give you extra confidence in your products length, reduce escalating costs such as overcuts and returns due to miss-measurements along with helping you to streamline and automate your production process. 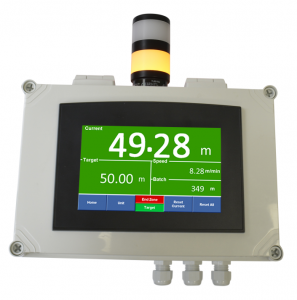 The TITAN range of Multi-Function Counter, Rate and Batch Meters are a product you can count on time and again. 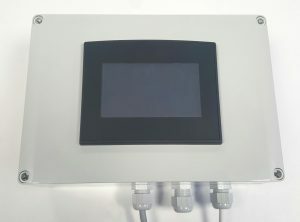 Add the optional ethernet communication board (TFA-1078) and you can connect to your local network and view real-time production process data anywhere in the world on your mobile device via the iOS or Android App (or your Windows PC). 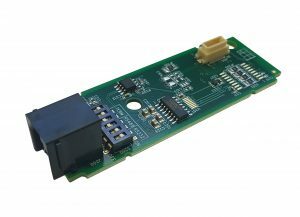 Another valuable option is the RS 232 (TFA-1077) board that provides the TITAN range with the ability to connect an adhesive label or ticket printer to provide your customers and yourself with important product information, such as length, batch and the date the product was produced. When the ticket and label printer options are selected as part of a system there is the option to have your company logo built added to the top printed media. Your typical production installation consists of a motor connected via a motor inverter with the capability of multiple speed presets. The TITAN range incorporates two normally open (NO) and two normally closed (NC) relay outputs that can be utilised to trigger a slow-down when you are close to your products desired length and completely stop the motor when the production target is met. You could also loop these outputs through a foot-switch for use by the operator or to trigger external alarms and alerts etc. Complete packages are available featuring our innovative dual wheeled encoder all fully wired and configured ready for wall mounting. If you require a bespoke installation the TITAN range of Multi-function Counters is fully customisable, please call or email and let us know what you require. An impressive multi-function counter, ratemeter and batch counter with a high-contrast 7” touchscreen. Highly accurate and with the functionality to semi-automate or automate your production process. All the same features as the TFA70RN model but with an additional notification beacon assembly for all-round visibility. 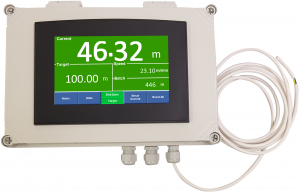 A very capable Multi-function Counter with optional ratemeter and batch capability, just as durable and easy to mount and IP66 rated with but with a smaller high-contrast 4.3-inch screen with restricted display options. All the same features as the TFA43RN model but with an additional notification beacon assembly for all-round visibility. All the same features as the TFA43RN TITAN Counter but in miniature! For those installations that are not very rich in available real estate, the TFA43MS TITAN Miniature is the answer! The TFA-1078 is an Ethernet communications hub designed to interface with all of the TITAN Multi-function Counter Meters and provide local network connectivity. Using the TFA-1078’s ethernet port, you can connect your TITAN Counter to the network and using the iOS and Android App or the Windows PC software, view its status, you can also jump into a real-time view from anywhere in the world with internet access. *Windows PC software is supplied as a download link with this purchase. The TFA-1077 is an RS232 communications module designed to interface with all of the TITAN Multi-functional Counter meters and provide pairing ability for the Zebra adhesive label printer (TFA-1079) and Epson ticket printer (TFA-1080) machines. You can quickly and easily create product data labels packed with essential data such as length, job numbers and so forth. 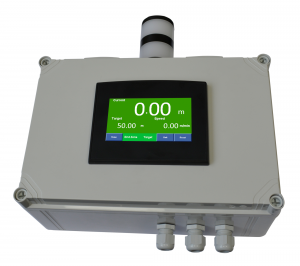 In part two of this series, we will take a look at the standalone HMI interface panels and the wide range of accessories that are available for the TITAN range of Multi-functional Counter, Batch and Ratemeters.